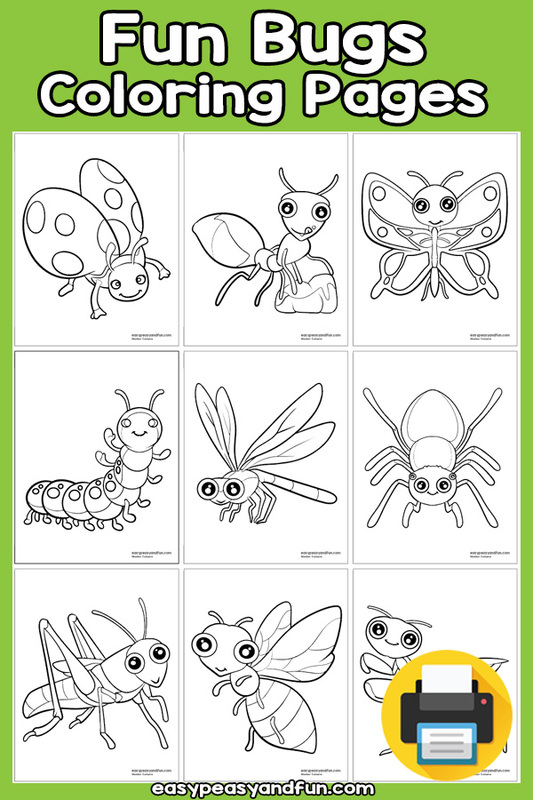 This set of bug coloring pages features a variety of fun looking bugs. 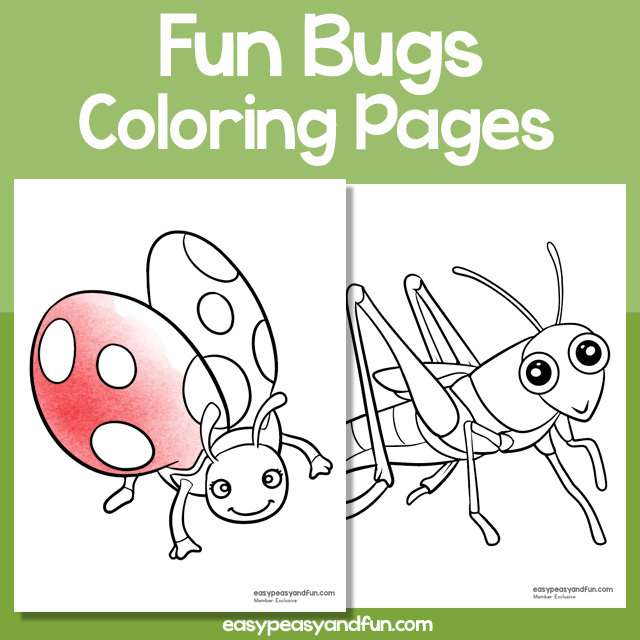 All of the bugs are easy to color so they are great for both young and old kids. All of them have a very friendly look (even the spider) so they are sure to be loved. Bugs included: ladybug, ant, butterfly, caterpillar, dragonfly, spider, grasshopper, bee (or a wasp), praying mantis and one coloring page with a variety of bugs together.